Jack Littlemore's in art security, but he's already in enough trouble - then an old friend comes out of his past and threatens to finish him off completely. been beguiled just as thoroughly as the scheme's victim. Collusion is visually lush, and filled with quietly brilliant performances. 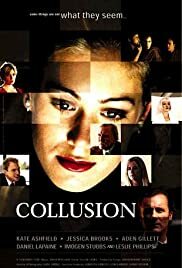 For those who prefer films with meat on their bones, Collusion will prove a very satisfying experience.